For many years the debate about whether we are who we are (still can't say that without thinking of Kesha) due to genetics or our environment has raged on. Well, it turns out that this divisive nature vs. nurture question may be a non-issue: Researchers have found that we're basically equally impacted by both nature and nurture. So, if you had money on one side of the issue, tough luck. I know, I'm bummed about it too: I personally had bet a small fortune on nature, but alas, thwarted by science again. So, how did they come to this conclusion? 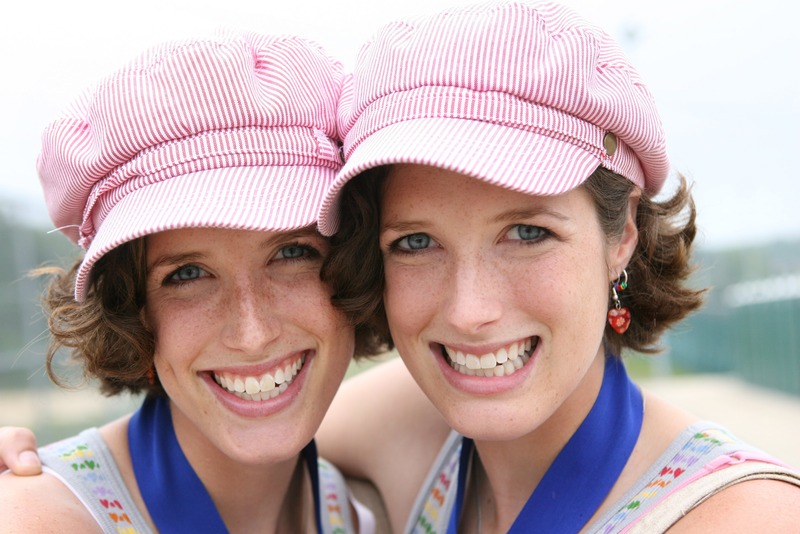 The researchers collated the results of almost every twin study over the past 50 years. Twin studies are particularly useful in these kinds of experiments because identical twins have the exact same DNA, so the degree to which they differ from each other (in personality, disease susceptibility, etc.) should be entirely due to their environments, rather than their genetic makeups. It is for this reason that researchers have found it particularly useful to study identical twins who were separated at birth and raised in different homes (some real Parent Trap stuff, you know? ), because they have the same DNA but were raised in very distinct environments. These kinds of twins provide the ideal subjects for nature vs. nurture research. Beben Benyamin, a University of Queensland researcher from the Queensland Brain Institute, collaborated with researchers at VU University of Amsterdam to perform an aggregate study of 2,748 experiments that have involved twin studies over the past 50 years. The whole project involved research on over 14.5 million pairs of twins. These kinds of studies, which collate the already existing research on a subject, are quite popular in cases where different studies on the same subject have yielded wildly different results. This is pretty crazy: The researchers found that variation for personality traits and disease is 49 percent due to genetic factors and 51 percent due to environmental factors. That's basically an even split — we are actually 50/50 products with regards to nature and nurture. More interestingly, however, is that while on average we are 50 percent genetics and 50 percent environment, individual traits and diseases tend to lean one way or the other. Bipolar disorder, for example, is 68 percent genetic and 32 percent environmental (which is why it is widely considered to be a heritable illness), while eating disorders are only 40 percent genetic and 60 percent environmental. Turns out, while our DNA is not our destiny, it does matter. As Benyamin says, "Genetics contribute to all traits – the difference is, by how much.” We are equally shaped by our genes as we are by our environment, which is kind of freeing if you think about it. Too much of influence by our DNA and we might feel locked in by our genes, and too much environmental influence and parents might become even crazier than they already are. So, maybe this 50/50 thing really is the Goldilocks-esque "just right" of nature vs. nurture after all.